One of the cornerstone investments that Warren Buffett‘s Berkshire Hathaway Inc. (NYSE:BRK.A) is in International Business Machines Corp. (NYSE:IBM). The rapid decline of the share values of IBM, a high of 8.3% last Friday or a share value of US$190 per share has hit hard and hit home for the private equity icon. The reason for the decline is the disappointing first quarter revenue report of the blue chip company. As of the latest portfolio filing, Berkshire Hathaway has owned 68.1 million International Business Machines Corp. (NYSE:IBM) shares as of December 2012. The decline in the share values, assuming the share stake remains the same has declined to US$12.94 billion or a net loss of US$1.168 billion. This though is a paper projection of share values, as there is no real money lost until the shares actually sold in the market. The large value lost is about half of Berkshire’s profits on paper on the International Business Machines Corp. (NYSE:IBM) stock when it started purchasing the shares in 2011. Earlier this month, I outlined a few reasons Berkshire Hathaway Inc. (NYSE:BRK.A) CEO Warren Buffett might be compelled to spend some of his $15 billion war chest to acquire “mini-Berkshire” Markel Corporation (NYSE:MKL). First, I noted Buffett looks for top-notch management in the companies he buys, which is something of which Markel certainly has no shortage. What’s more, Markel’s insurance operations could not only complement Berkshire Hathaway’s existing businesses, but could also provide new investment money for Buffett to put to work in the form of additional insurance float dollars. Finally, Markel takes pride in its ability to grow by identifying and acquiring fantastic smaller businesses. As it so happens, Buffett is also fond of buying such businesses, especially considering Berkshire forked out $2.3 billion for small bolt-on acquisitions last year alone. In 2009, Warren Buffett told CNBC that he could not predict the direction of the gold price over the next five years. “But the one thing I can tell you is that it won’t do anything between now and then except look at you.” He suggested investors buy shares of blue-chip companies like The Coca-Cola Company (NYSE:KO) and Wells Fargo & Company (NYSE:WFC) as they are likely to make profits every year. “It’s a lot better to have a goose that keeps laying eggs than a goose that just sits there and eats insurance and storage and a few things like that,” he said. I thought then that Buffett had lost a big opportunity to invest in gold as it climbed to US$2,000 (HK$15,600) per ounce soon after. In this video, analysts Matt Koppenheffer and David Hanson talk about investing in bank stocks. Warren Buffett is a fan of the banking sector and has invested heavily in this industry. Looking at Berkshire Hathaway Inc. (NYSE:BRK.A)’s portfolio, David chooses American Express Company (NYSE:AXP) as his favorite banking stock. Even though it’s not a bank, David says it has an upper hand over banks such as Wells Fargo. He sees great growth possibilities as well, mainly because of competitive pressure, and he believes that the company will be able to maintain its lead. Matt, on the hand, chooses Goldman Sachs Group, Inc. (NYSE:GS) from Berkshire’s banking portfolio. He focuses on Goldman’s brand name, which is one of the factors that attract customers. He also points to Goldman Sachs Group, Inc. (NYSE:GS)’s reputation in the industry, which allows it to attract only the best and brightest employees and gives it an edge over its competitors. 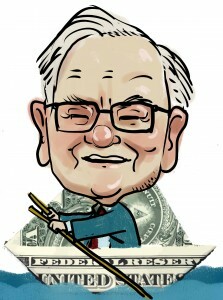 Billionaire investor Warren Buffett has remained faithful to Chinese car maker BYD (1211.HK; Shenzhen: 002594), refusing to change his 10 per cent holdings in the company despite a rapid tumble as its bet on electric vehicles (EVs) fails to take off. But soon the man known as the Oracle of Omaha may have no choice but to reduce his stake, since BYD has just announced a plan to issue more shares to raise desperately needed cash. Of course Buffett may choose to buy some of those new shares to maintain his stake at 10 per cent; but I suspect his patience is probably running out with this company, with the result that his stake in BYD will get diluted with this planned share issue.